For the first time ever, Infinity Ward's 2003 award-winning game that launched a franchise comes to consoles. 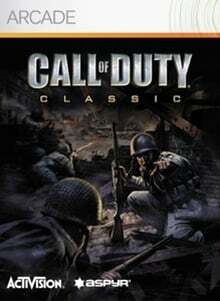 Relive the original Call of Duty experience in HD. Online multiplayer on Xbox LIVE, including Leaderboard support. Winner of over 80 Game of the Year Awards and 50 Editor's Choice Awards.